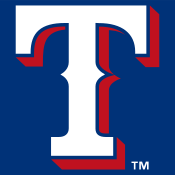 The 2012 Texas Rangers season was the 52nd season in the overall history of the franchise and the 41st since the team relocated to Arlington, Texas. The Rangers entered the season as the two-time defending champions of the American League and the AL West. They led the division for most of the season and had a 13-game lead on June 30, but faltered down the stretch. They finished 93-69, but were swept in the last series of the season by the Oakland Athletics and wound up second to the Athletics in the division. They then lost to the Baltimore Orioles in the Wild Card Game and were eliminated from the playoffs. October 31, 2011: The team exercised its club options on Colby Lewis and Yoshinori Tateyama, while also announcing that the entire coaching staff would return for 2012. November 21, 2011: The club signed RHP Joe Nathan to a two-year $14.5 million deal with an option for a third year. He will be the team's closer and subsequently bump RHP Neftalí Feliz into the starting rotation. Nathan leaves the Minnesota Twins after becoming the all-time saves leader for the franchise over 9 seasons with the club. December 1, 2011: Taylor Teagarden was traded to the Baltimore Orioles for minor league RHP Randy Henry and a player to be named later. On December 8, 2011, the player was identified as minor league 2B Greg Miclat. December 19, 2011: The team won the negotiating rights to Japanese RHP Yu Darvish for $51.7 million through the Posting system. The Rangers will have 30 days to negotiate a contract with Darvish, if no agreement is reached, then the posting fee is returned to the club and Darvish will return to the Hokkaido Nippon-Ham Fighters for the 2012 season. December 21, 2011: C Luis Martinez acquired from the San Diego Padres for minor league RHP Ryan Kelly. Martinez will be put on the 40-man roster. January 5, 2012: The Rangers traded infielder Chad Tracy to the Colorado Rockies in exchange for RHP Greg Reynolds. Reynolds was assigned to Triple A Round Rock. January 18, 2012: The Rangers and Japanese RHP Yu Darvish agreed on a six-year, $60 million contract. The contract was signed 15 minutes before a 4:00pm CST deadline. Yu was formally introduced to the organization with a press conference on January 20. ^ "Rangers exercise club option on Lewis | texasrangers.com: News". Texas.rangers.mlb.com. Archived from the original on March 16, 2012. Retrieved August 15, 2012. ^ Durrett, Richard (October 31, 2011). "Texas Rangers keep Colby Lewis in fold". ESPN. Retrieved November 2, 2011. ^ "Orioles claim Darren O'Day off waivers from Rangers | MLB.com: News". Mlb.mlb.com. Retrieved August 15, 2012. ^ "Former Rangers reliever Darren O'Day picked off waivers by Orioles". Dallas Morning News. November 2, 2011. Archived from the original on November 5, 2011. Retrieved November 2, 2011. ^ "Joe Nathan agrees to deal to join the Texas Rangers | texasrangers.com: News". Texas.rangers.mlb.com. Archived from the original on December 25, 2011. Retrieved August 15, 2012. ^ Richard DurrettESPNDallas.comFollowArchive (December 1, 2011). "Texas Rangers trade catcher Taylor Teagarden to Baltimore Orioles – ESPN Dallas". Espn.go.com. Retrieved August 15, 2012. ^ "Rangers win rights to Darvish with record bid | texasrangers.com: News". Texas.rangers.mlb.com. June 19, 2012. Archived from the original on January 21, 2012. Retrieved August 15, 2012. ^ "Rangers acquire catcher Luis Martinez in a trade with San Diego | texasrangers.com: News". Texas.rangers.mlb.com. Archived from the original on January 8, 2012. Retrieved August 15, 2012.